New Jersey governor Phil Murphy’s marijuana legalization bill is a model of progressive reform. The legislation wouldn’t just end prohibition of a substance less dangerous than alcohol or tobacco, thereby providing the state with a new source of revenue, police with one less distraction from deterring violent crime, and disadvantaged young people with lower odds of ending up incarcerated for their youthful indiscretions. It would also wipe away the criminal convictions of anyone in New Jersey convicted of possessing up to five pounds of ganja — a threshold much higher than expungement programs enacted in other states. Altogether, Murphy’s bill would erase the criminal records of hundreds of thousands of low-level drug offenders. Finally, the proposal would ensure that a significant percentage of legal marijuana businesses would be minority-owned enterprises. The bill is nearly as politically popular as it is substantively admirable. A recent Monmouth University poll found that 60 percent of New Jersey voters support legalizing recreational marijuana, while three-quarters back clearing the records of those convicted of weed possession. And yet, after two-years of lobbying, the bill died without a vote Monday, after it became clear that a majority in the Democratic-led state senate opposed the measure. A coalition of Republicans and moderate Democrats — including some African-American lawmakers who feared the implications that legalization would have on the public health of their communities — remained steadfast in its opposition. 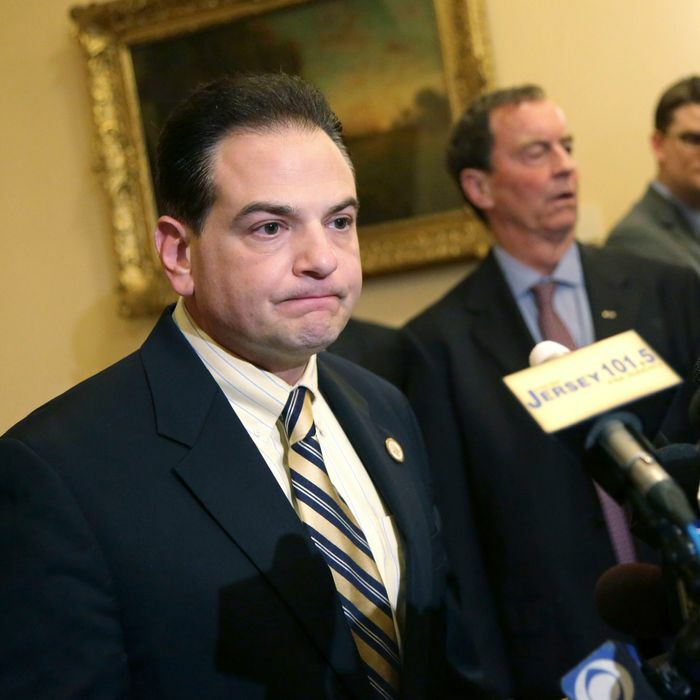 The bill did have the necessary votes to clear the state assembly, according to sources who spoke with the Star-Ledger, but remained a handful of supporters shy in the senate. The disparity between New Jersey voters’ overwhelming support for marijuana legalization in opinion polls and their representatives stalwart opposition to the measure in the state senate might seem puzzling. But it is consistent with a broader pattern in the politics of legalization. While ten states and Washington, D.C., have legalized recreational weed, only Vermont has done so through legislation. Earlier this month, a pair of New Jersey lawmakers who oppose marijuana legalization introduced a bill that would let the states’ voters decide the issue directly. At the time, Murphy’s office expressed opposition to the proposal. But given the experience of other states, a ballot referendum might well be the governor’s best path forward.